For Salad: Place spinach, pears, scallions and candied pecans into a large bowl and toss. For Dressing: Whisk together Marukan® Genuine Brewed Rice Vinegar, mustard, olive oil and basil. Add salt and pepper to taste. 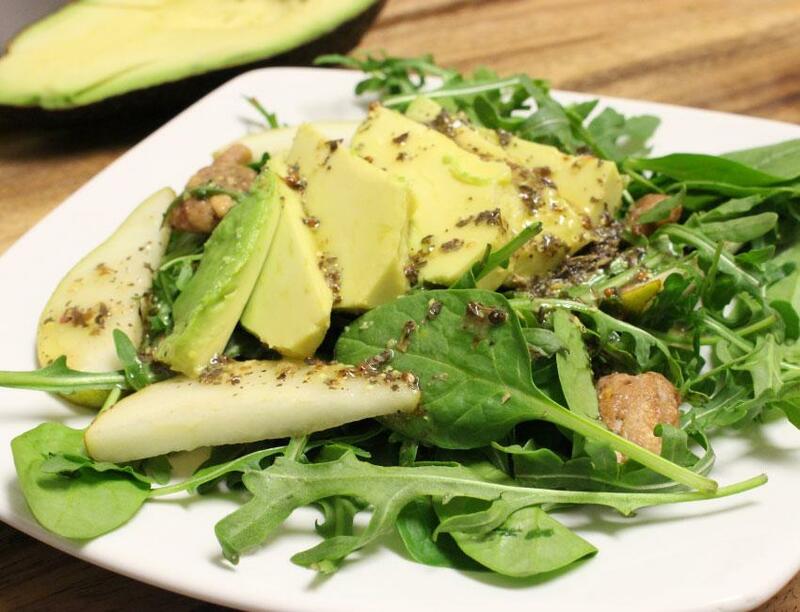 Serve salad on plates and top off with sliced avocado and desired amount of dressing. Enjoy!